You are at:Home»Opinion»The Markets Are Up. What Happened? A bull market is coming. I believe we are seeing the choppy prelude of it. See the chart below. 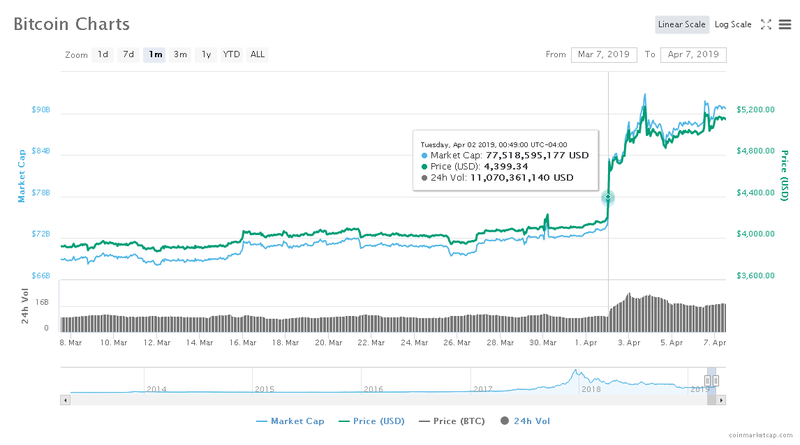 On April 2 if you look at bitcoin prices – the price of bitcoin shot up. The chart was previously sideways and it just shot up and then sideways again. BTC even shot up to $5200. Few – if any – saw this coming. BTC is not the only crypto, I am using BTC as the example here. Some people say it is an April fools thing. I don’t think so. And whoever made that order, purchased 20,000 bitcoins! You can’t purchase that amount of bitcoin and not move the market. That they purchased bitcoin in that amount across three exchanges tells me that they do not really care if they pay – say – $300 more for a bitcoin a piece. They just wanted to grab a bunch of bitcoin and be done and get out. What I think is happening is that we are getting closer and closer to the edge of a bull market. It’s going to be a choppy bull market but I think it is what we have all been waiting for. 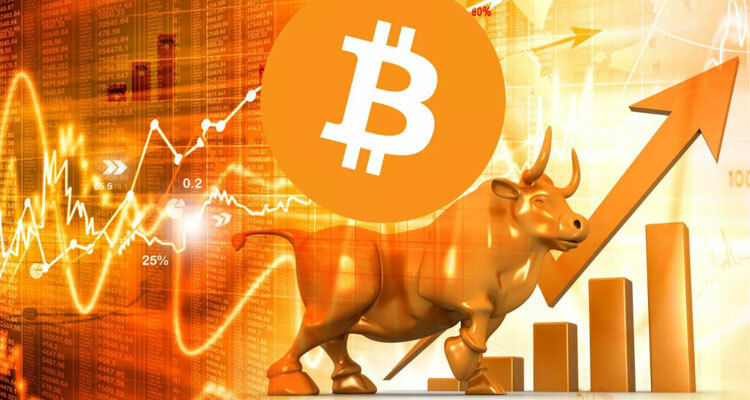 I think the sign that we have entered into that awaited bull market is when Bitcoin reaches $6000. When that will happen, I am not sure. When it hits $6000, it crosses an interesting ceiling and then we will see a series of choppy wave-like highs and dips highs along the way people taking profits. There will be more wave-like high choppiness and a bunch of money will be made. Altcoins will follow. I am also stocking up on Decred. It is a solid project. At present, Decred is in the top 30, but I see it becoming a top 20 coin. Right now it’s at $25 and will accumulate more once a pullback occurs at $22. But I see a choppy ride to the bull market. Once we break $6000 BTC, we are in the bull market. I believe you will win in the long-term (and in some cases in the short-term) if you focus on the top-20 currencies in the market and getting them into your portfolio. Bitcoin being number one. One thing I have noticed is that with every bear market we have been in, the big holders were selling. They were taking profits as the prices were dipping because they were not sure what was going to happen. This is the first bear market we have been in where the big holders have been buying/accumulating. If you think about it, that is amazing. It tells me that this bear market has seen a fundamental shift in investor thinking that they believe some real booms are ahead. If the prices are dropping and the big holders are selling then that means that they do not believe in it anymore. But if the prices are dropping and they are buying, that means that they do believe in it. Big profits will come not only from bitcoin but from those top-20 cryptos or those currencies ending up in the top-20. Position yourself strategically now in anticipation for breaking through that $6000 BTC ceiling and start accumulating. Focus on the top-20 cryptos and the ones you think will go top 20. Exciting times, I believe, are coming.